New Winter 2013/2014 model. Large eye-protective, refraction free 99% UV protective windows installed in the front and two sides of the cover. 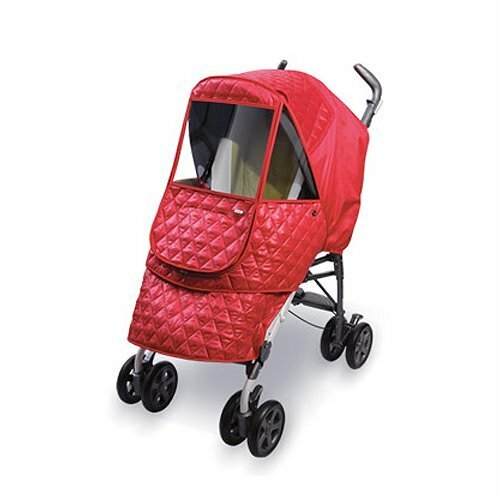 Easy pull-down and pull-up sun screen curtain provides extra sun protection for the baby inside the stroller. Two ventilation system on the sides. Hi-Tech laser quilt triple-layer construction fabric is water-repellent and windproof. 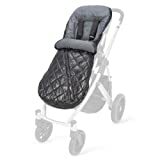 Laser quilted inner layer is made of soft and smooth fabric packed with cotton inside for effective insulation and comfort. Laser quilt construction improves thermal insulation and durability. Non-toxic and eco-friendly fabric is tested and certified for safety. 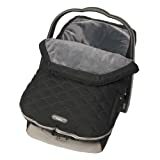 Easy in-and-out of your baby through large front entry with dual zipper. Detachable footrest cover is convenient for easy cleaning. Two adjacent convenience pockets in the rear. Includes a matching color portable pouch for easy storage and carry. 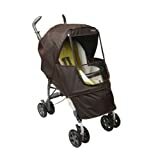 Fully adjustable to FIT ALL CANOPIED JOGGERS and 4 WHEELS STROLLER MODELS from manufacturers such as Maclaren, Zippy, Peg Perego, Bugaboo, Silver Cross, Baby Jogger, InStep, Bob, Graco, Chicco, Eddie Bauer, Britax and ANY other stroller with a canopy measuring between 15 - 19.